Canvio 3.0 products have been designed and manufactured in accordance with Toshiba’s high quality product standards, incorporating the latest technology and user-interface, while ensuring best-in-class performance, quality and workmanship. 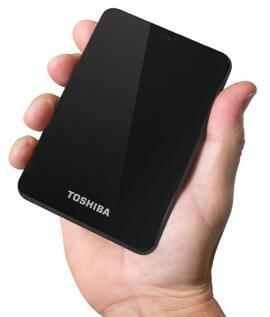 With Toshiba’s Canvio 3.0 Portable Hard Drives, you’ll enjoy portable storage space for even the largest digital libraries. 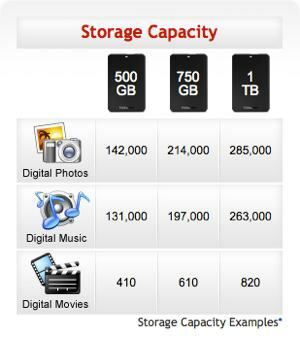 Our 500GB Drive is capable of storing up to: 142,000 digital photos, or 131,000 digital music files, or 410 downloaded digital movies. Each Canvio 3.0 Portable Hard Drive includes an internal shock sensor and ramp loading technology to help keep your drive safe. Computer backup made fast and simple. 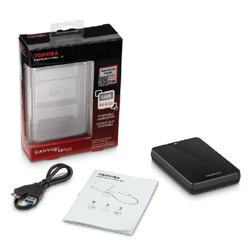 Canvio 3.0 Portable Hard Drives are preloaded with software to make backup fast and simple. The included NTI Backup Now EZ software scans your system and recommends the best coverage for your computer. Choose between backing up your files to the cloud, backing up your files and folders to your Canvio 3.0 portable hard drive, backing up everything saved on your computer, or choose all three for the most comprehensive coverage. Click the restore button and you can recover a file or folder. Boot to your Canvio 3.0 Portable Hard Drive and it will restore all the files saved on your computer. We’ve even included a utility to burn a boot CD/DVD to make the process even simpler. Secure your backup files with password-protected data encryption, (up to 256-bit), to help keep your backup safe and prevent unauthorized access. Options include the ability to select only the most common file types, (like work documents, pictures, movies, music, etc. ), change how often your backup takes place (hourly, daily, weekly, etc.) and change the threshold settings on the Drive Space Alert. 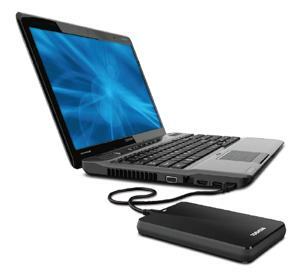 Toshiba Canvio 3.0 Portable Drives are compatible with Windows 7, Windows Vista and Windows XP. 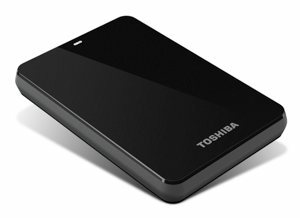 For over 20 years Toshiba has been developing and manufacturing hard drives used by every major brand of notebook computer. This version of the Canvio 3.0 portable hard drive has a 500 GB storage capacity, and it comes in black.